Budding photographers will find a myriad of opportunities when snow covers the streets of New York. 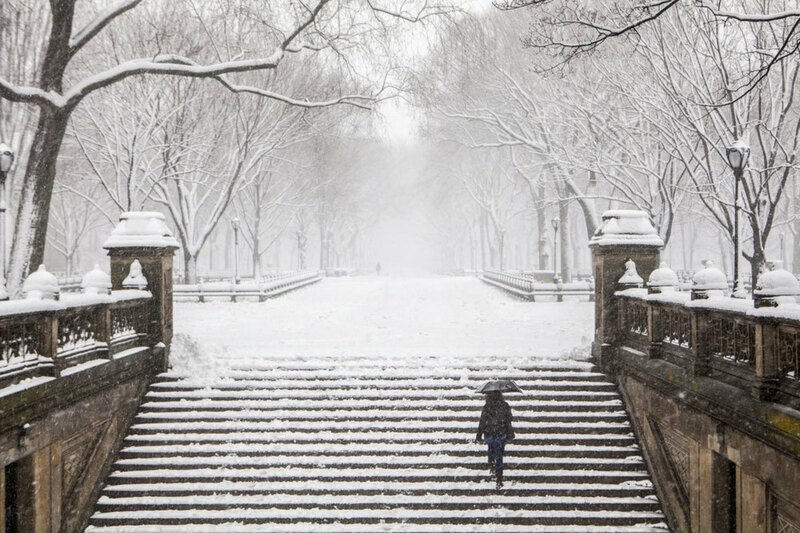 We’ve already talked about the best wintertime activities in Central Park and great sites to see fall foliage in New York — which also happen to be stunning in winter! Today, we want to go beyond Central Park and inspire you to go on a quest to find the best angles of New York in winter. The famed elevated freight line that is now an urban oasis of perennial plants is open during winter, weather permitting. Sculptures throughout the park make for interesting photos, while the street scenes below are perfect for dynamic shots. 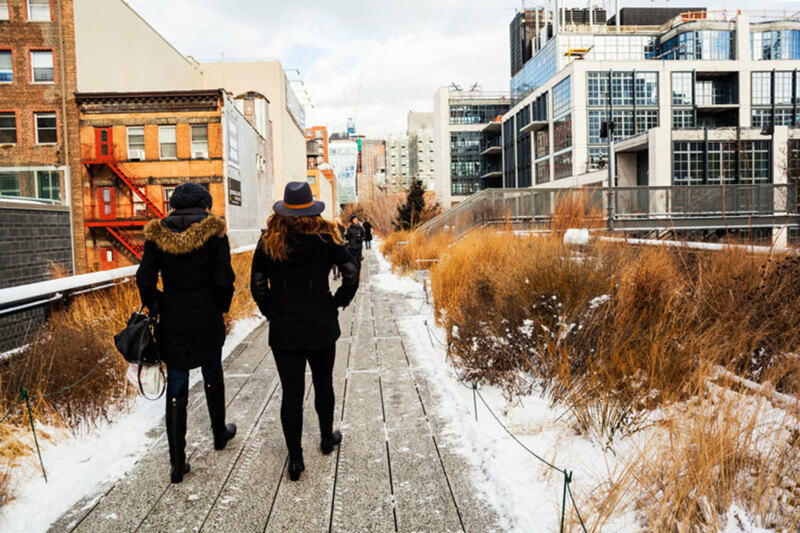 To learn about the park, seasonal plants and wildlife, take the free The High Line Winter Tour. Sprawling over 250 acres of land, the New York Botanical Garden was designed to delight visitors year round. This winter, the Conifer Arboretum, the Thain Family Forest, the Benenson Ornamental Conifers, the Nancy Bryan Luce Herb Garden and the Rock Garden will provide the best chances to capture a sublime wintery scene. 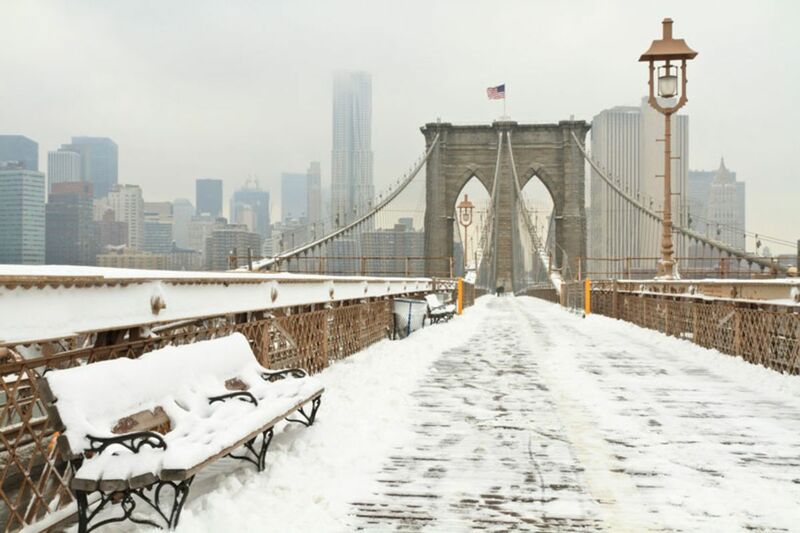 Walking along the 1.1-mile Brooklyn Bridge Pedestrian Walkway after a snowfall will be cold but well worth it. Not only will you see the Manhattan skyline, but walking to the Brooklyn side will take you to Brooklyn Bridge Park and DUMBO, both with great views of East River. DUMBO also happens to be the most popular spot to photograph the Manhattan Bridge framed by the buildings of Washington Street, between Water and Front Streets. Gramercy (East 23rd Street to about 14th Street, and between Park Avenue and 1st Avenue) is a historic district that houses one of the few private parks in New York, Gramercy Park (between East 21st and 20th Streets). Although only residents of the luxurious — and expensive! — buildings facing the park can access it, everyone can still enjoy a leisurely walk around the tree-lined streets. This neighborhood has many pre-war mansions and an old-money aura. Greenwich Village is the other side of the coin. It may contain quaint townhouses and brownstones, however, it’s hip and lively, unlike Gramercy, its exclusive and stately counterpart. Minetta Street and West 10th Street between (5th and 6th Streets) are small corners that feature 19th Century architecture and quiet streets reminiscent of the time when great writers and artists lived there. For more insider tips on New York’s best attractions, follow The New Yorker blog!